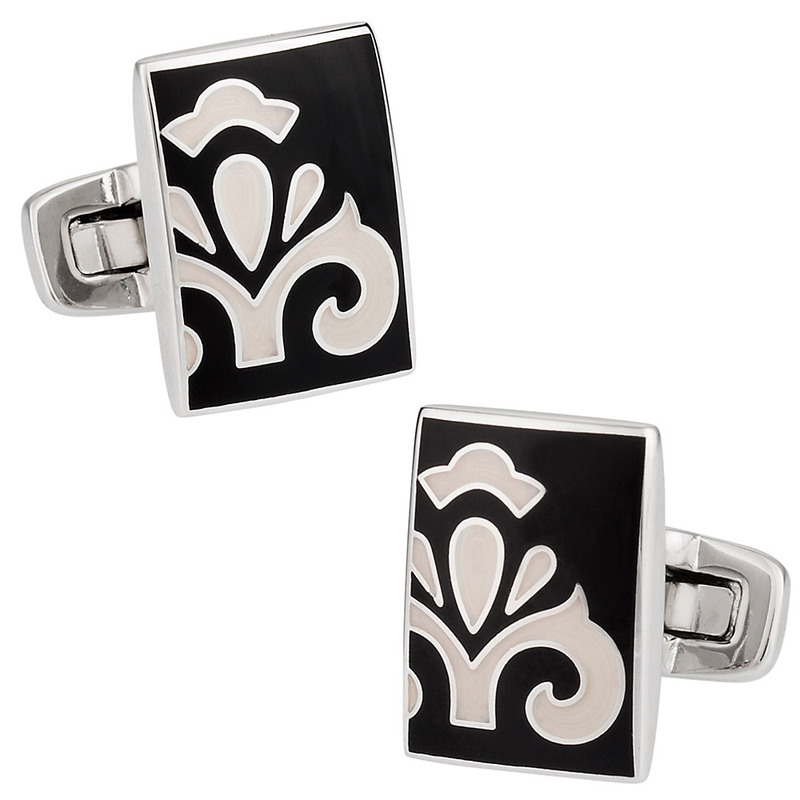 Show off the highly popular fleur de lis symbol with these black and white cufflinks. The deep black rectangles are set off by a pair of white fleur de lis symbols. They make an ideal accessory for light or dark colored French dress shirts. 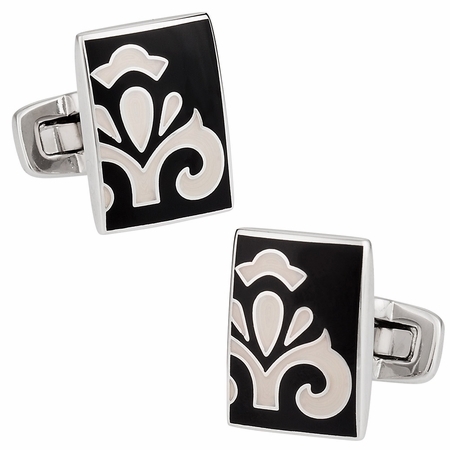 A set of black and silver enamel is used to create the look of these cufflinks and it's designed to hold up during regular use. These cufflinks are built to last, and they're attractive during use. Slip them on for your next special event, or keep them tucked away for that one special occasion that you want to look your best.